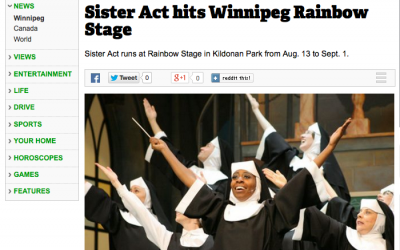 Why the audience leaves Kildonan Park feeling upbeat is easier to understand when you take into consideration the flock of talented leads, backed by an ensemble with oodles of girl-group gusto. 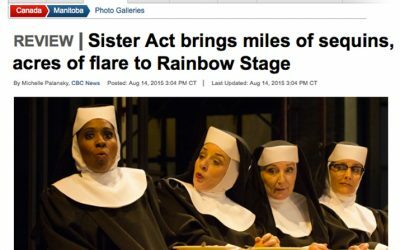 Spread the good word: Rainbow Stage’s Sister Act is music for the soul. 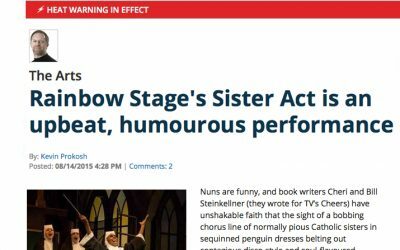 Indeed, it’s the strong, talented women of the cast who make this production of Sister Act so worthwhile — which is not to cast aspersions on the men. 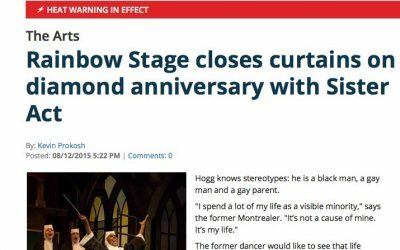 If you’ve been paying attention during his four-year tenure as artistic director at Rainbow Stage, you may have noticed Ray Hogg has been deliberately filling out his musical choruses with performers of all sizes and ages.